The Musical Score is always the part that makes me the most nervous and it's always the part I discover that I have the least to be nervous about. When we first started the project Charlie mentioned that a few of his friends in the music business could put out the word that we were looking for a composer and I was very glad to take him up on it. I had made inquires from my own contacts in the film business and gotten back some very unencouraging responses; everyone was telling me that they could do it for less money, do it in less time, and explaining how they could get away with less quality. Less was not the word I wanted to hear … especially with something as important as music. Charlie came through with Phil Shenale, a wonderfully lively dude who's mantra was definitely "more" rather than "less." We told him we were interested in working with him and then we disappeared for several years while we went through the laborious process of editing Son of a Wanted Man in our spare time. As luck would have it he was still interested when we finally finished. The Music in Son of a Wanted Man, as with the dialog or the sound effects, is as essential an element of the show. So, as with the dialog and sound effects, only an original score would do. As mentioned in the HISTORY of Son of a Wanted Man, we were lucky to find (and keep interested over a very long time) John Philip Shenale. His extensive work composing, arranging and producing for artists like Janet Jackson, Tori Amos, Willie DeVille and Bette Midler combined with his exceptional skills with virtually any keyboard instrument have allowed us to develop a vibrant and evocative musical score. When creating a score you usually block out themes; different pieces of music, each for a selection of ideas that make up your story. You might have a "historical" theme that plays behind a section of material that communicates history, our narrator or say, in a film, perhaps a montage of newsreels … you might also sneak it in when a character, like a US President, does something to make history. That's a subtle way of reminding the audience of the connection between the two. Most often the several major characters have themes based on who they are. A typical hero theme would be Raiders of the Lost Ark or the James Bond Theme. A villain might also have a theme and if, for a moment, you think that James Bond is going to set off the atom bomb himself for evil or selfish reasons, a composer might mix both the hero and villain's themes together. It's sort of like an aural chemistry set; you mix up the potion that you need at the moment from a kit of (hopefully) well designed components. The score is, to a great extent, the sound of the way you want the audience to feel. 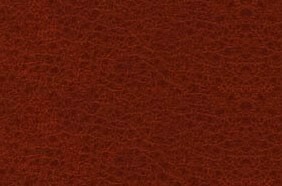 It also creates a tone for the entire piece, setting the stage in a very subtle way. I have always hated most of the music that went into westerns because it always seemed to be trying so hard to be "western" that it painted itself into a corner when it came to expressing certain emotions -- actually that is true about a lot of issues surrounding westerns in both fiction and drama. The composition and instrumentation of western scores rarely have anything to do with the kind of music that was being played at the time, so in my mind they are pretty useless. Phil came up with a sound that communicated a feeling of the actual historical period while still maintaining enough complexity to get to all the nuances of feeling that were hiding in the production. It was a wonderful collaboration; we would give Phil pieces of the show, he would write the music and, if necessary, we would edit around his work so that he was never pressed for time, or mix around his work so that, whenever possible, you could hear the meaningful parts. It was an opportunity that you really never get in film where the picture is like a conductor, marking out the time available with dictatorial authority. The unique sound developed for Son of a Wanted owes a lot the the instruments chosen to play the various themes and bridges. 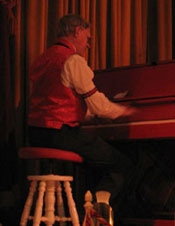 In addition to the traditional violin, chello and bass strings, a variety of different pianos were used to add a haunting and historic feeling to the music. Several different guitars were also used, sometimes alone and sometimes in conjunction with one another to give the score an enormous depth and range. Two the most interesting instruments included a mallet piano and a Chamberlin piano. The Former is literally a piano frame stripped of the box and legs. The strings are wedged and dampered with rubber and are struck with felt mallets. The sound is a very unique, almost mechanical sound which really helps imply the appropriate time period to the music. 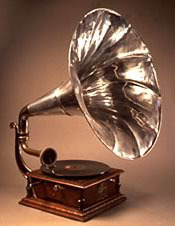 It makes the music sound somehow, as if it were really recorded in the 1880's. The Chamberlin is one of the first music samplers which could playback recorded sounds by simply playing the keys of a piano. This breakthrough would allow a musician to play a flute or the drums without actually having to learn each instrument. As with our Sound Effects, Phils' music is extremely detailed and often heavily layered, with several instruments playing similar themes and others brought in to fill in spaces or add counterpoint. It was really fascinating to work with the raw tracks during the Mix of the show as we could adjust each musical element separately, allowing us a fantastic amount of flexability. It was really funny hear myself in Phils' studio shaking my head and saying "I don't know how you do it" only later to have Phil listening to a complicated sound effects scene and saying "I don't know how you do it!" Once the score was finished we MIXED the show and prepared it for mastering.